The Super Multi Shaker is the perfect sized plastic container consisting of four different departments. With the actual shaker itself, you now have attached to it another component which is divided to store all your sports nutrition products, separating powdered products from capsules. Also, if craving for more of those delicious Active Woman shakes while at the gym to give you that motivation and strength to carry on with your workout, with your new best friend: the Super Shaker, you don’t need to carry on craving. Simply store the sports nutrition powder in its place at the bottom, that way you can make more shakes right where you are. WHAT IS ACTIVE WOMAN® SUPER MULTI SHAKER? 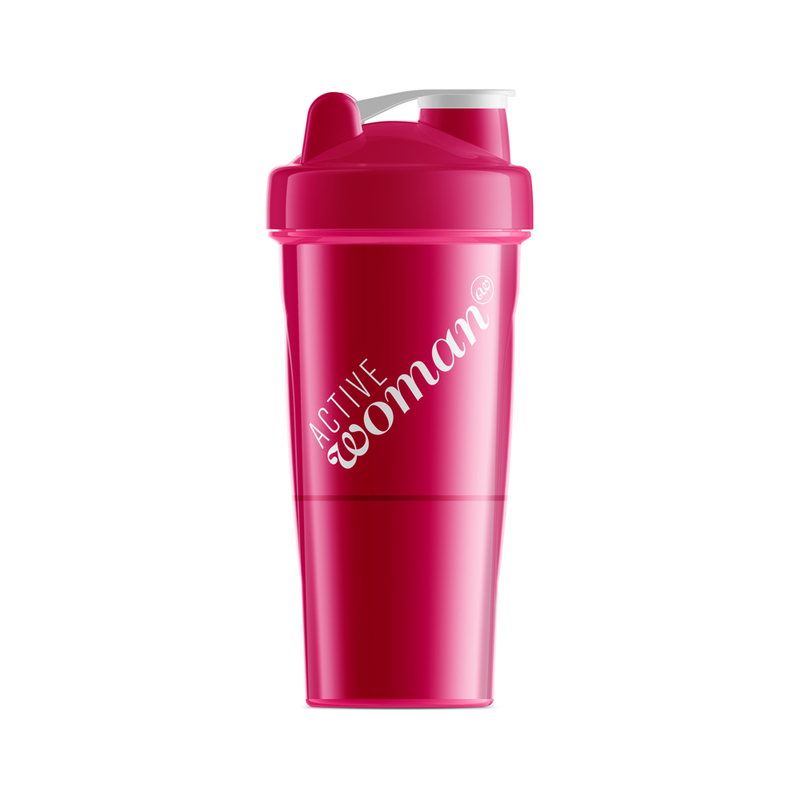 The Active Woman Super Multi Shaker is here to keep you disciplined as you power on to the gym with a smile. The Active Woman Super Multi Shaker is the perfect organising tool that will keep all your sports nutrition products together without you having them all over the place. WHO IS ACTIVE WOMAN® SUPER SHAKER FOR? The Active Woman Super Multi Shaker is the perfect gym companion. Store all of your powders and pills in one place easier than ever before. Make the most out of your Active Woman Super Multi Shaker by utilising the separate compartments to store your favourite Active Woman supplements inside for quick, easy access. Easy to clean and dishwasher proof.